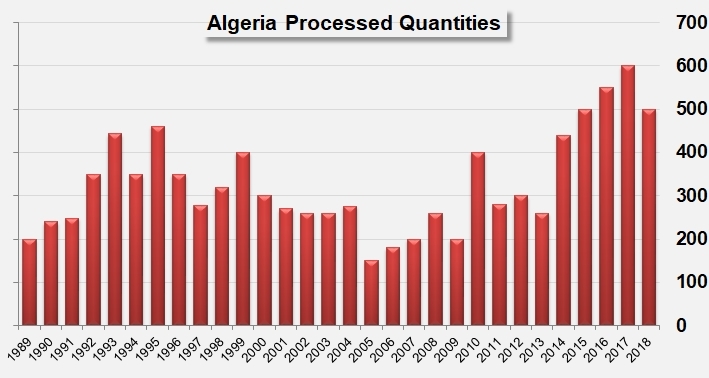 Did Algeria really process 800 000 tonnes last year? According to figures commented on 16 January by the Algerian Minister of Agriculture, Rural Development and Fisheries, during an evaluation day of the tomato processing industry, the quantities of tomatoes harvested and processed during the 2017/2018 season in Algeria amounted to "8 million quintals". More accurately, "quantities reached 7 884 482 quintals, which is a 7% increase compared to the previous season" indicated the statement, which also clarified that "this quantity represents a double tomato paste equivalent of 1.34 million quintals (134 000 metric tonnes of paste, editor's note)." The Ministry indicated that surfaces dedicated to processing tomatoes in 2018 covered 23 072 hectares, a 17% increase compared to the 2017 season, and that processing tomato crops were to be found in three new wilayas (administrative divisions): Constantine planted 20 hectares, Tamanrasset 14 hectares at In Salah, and Nâama 59 hectares. In 2019, surfaces planted with tomatoes for processing are expected to increase a further 16%, reaching 27 557 hectares. In the South of Algeria, planting started in September and is said to cover 1 149 hectares. According to the local press, the harvest started in the region of Tamanrasset around 10 January, with yields of approximately 35 tonnes/ha. During this meeting organized by the public authorities, industry representatives evaluated their performance during the 2017/2018 season, and discussed the regulation of inventories held by processing operators, the financial supports provided for agricultural and industrial quality, and the technical assistance projects available for the current season (2019). 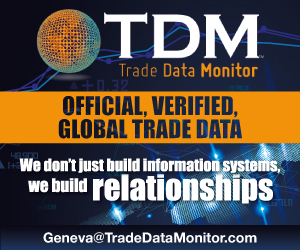 The results published by the Algerian ministry are noticeably different from those collected by the WPTC from representatives of the Algerian processing industry, as these figures indicate a processed volume of 500 000 tonnes last year. It is obvious that considerable uncertainties prevail regarding results as well as regarding the past and future circumstances of the Algerian industry. Among the main concerns of the industry is the capacity of operators to obtain financing, as they are having trouble moving their stocks and therefore generating the available funds that they need in order to pay growers and fulfil their repayment obligations to the BADR Bank for Agriculture and Rural Development. The Algerian press has mentioned several examples of extreme situations, but the main hurdle currently remains the apparent incoherence between demand on the Algerian market and the quantities that have been processed, according to official reports. Whereas the country's demand in terms of tomato paste is estimated at about 90 000 tonnes per year, the industry produces approximately 180 000 tonnes per harvest. Local sources explained that operators are encountering difficulties in selling their products on the domestic markets and are also struggling to export surplus quantities. This problem has led industry professionals to request a rescheduling of processors' debt obligations with the BADR Bank and, even more importantly, a ban on "the excessive imports of triple concentrated paste from foreign countries" (see our article dated 17 May 2018) which, in their view, "has caused damage to the tomato industry insofar as there is now a production surplus" in the context of "an abusive implementation of the system of subsidies for the industry that the State set up at a time when many processing plants were shutting down in 2013." 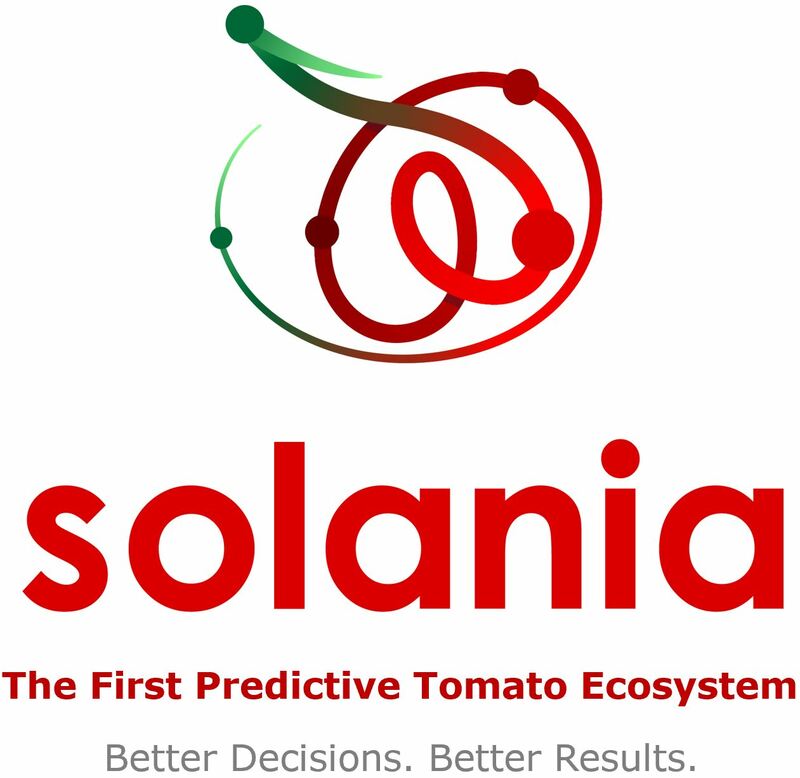 It seems that the Algerian government has listened to tomato industry operators. On 7 January, imminent taxation on paste imports was announced during one of the many meetings organized around the processing tomato industry as the current year gets underway. According to the wali of El Tarf, one of the main wilayas of the industry, a decree is about to be signed, setting a 200% customs tariff on the import of double-concentrated and triple-concentrated tomato paste, which is the highest level to be implemented by Algeria's customs services. The decision is said to have been taken in order to put an end to the concerns of growers and processors who feel that "the major crisis that the Algerian industry is currently going through is a direct consequence of massive imports of Chinese tomato paste, which have been coming into the country for several years while national production would be capable of satisfying the country's demand and even exporting surplus." 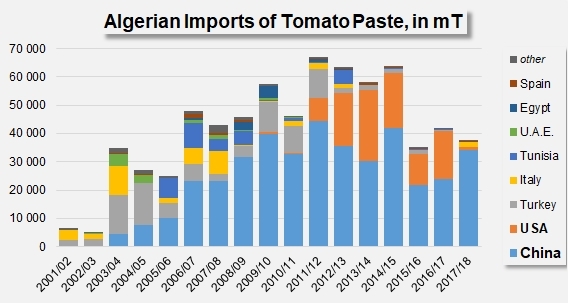 This approach, which has been defended by several industrial operators, has not convinced public authorities who, right up to the highest levels of the State, are questioning the capacity of the industry to satisfy even the domestic demand for tomato paste. This question remains unanswered, and confusion continues to surround the arguments put forward by the different stakeholders in this issue, at a time when local observers are concerned about the capacity of existing processing plants to deal with the crop announced for 2019 and worried about the financial options for the coming harvest season to be carried out by companies that are increasingly having trouble obtaining a rescheduling of their debts and finding funds to pay their growers. Banks and local authorities have committed to stepping in and helping to prepare and run the next harvest season, and have promised to solicit the appropriate ministries in order to find solutions for rescheduling debts. Public authorities have also announced that a standard contract will be provided in order to give a framework to relationships between growers and processors. 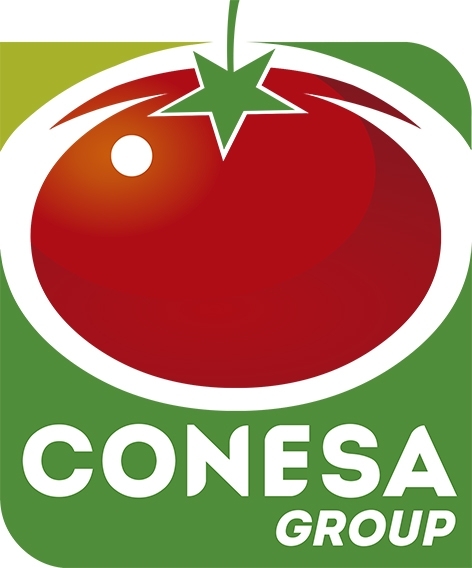 The various meetings that have been held in recent weeks have also underlined the necessity to implicate professional and interbranch organizations, particularly the newly created Interbranch Council for the Processing Tomato Industry, in order to help improve exchanges between the different actors of the sector, anticipating problems and providing improvements in the areas of production technology, irrigation, automation and regulation, in the context of a collective approach. Meeting participants also asked for greater implication of research centers and universities in the development of new varieties, a major step in guaranteeing better seed supplies for agricultural programs. 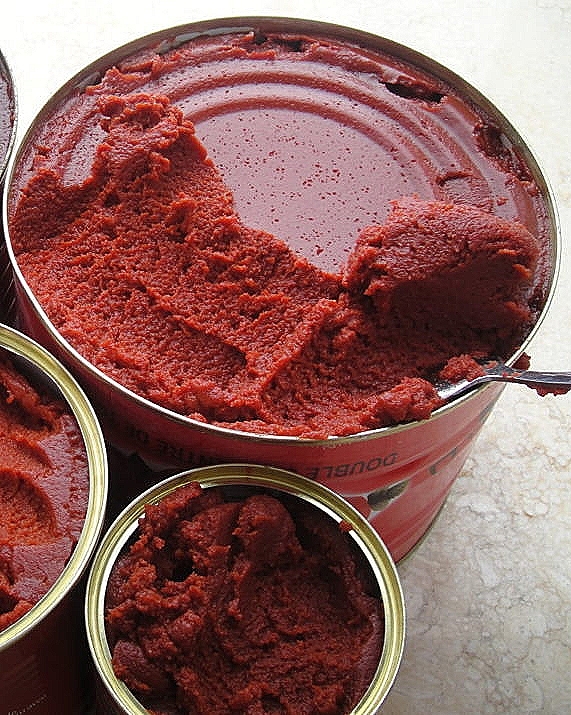 Algeria: will there be a ban on importing triple-concentrated tomato paste?